The new Xcarlink v4 Multimedia Video Interface takes multimedia integration to the next level by offering a range of additional features. Not only can you connect any video source to your original factory fitted display (such as DVD player, Smartphone Mirroring etc) it also allows you to add our Digital TV tuner and control it via the original touch screen. It features a dedicated rear camera input with parking guidelines that automatically displays on your screen when the car is in reverse which also retains the original parking sensors. When combined with our Digital TV module, our interface provides you with a fully integrated Digital TV solution where you can select stations via the original touch screen. Switch between Audi display and AV input using the orignal stereo button or steering wheel. 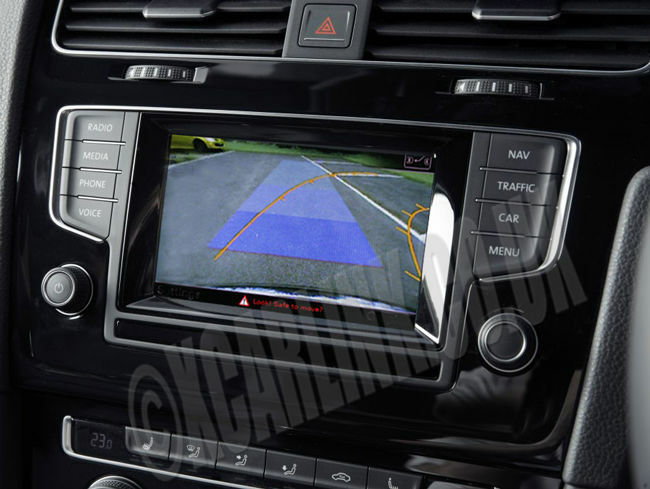 Golf MK 7 /Skoda Ocatavia 2013 Onwards 8" Screen with Navigation.